« Digital Watchdog Group: Government Hacking Ethiopian Journalists in U.S.
Los Angeles (TADIAS) — The California-based non-profit organization, US Doctors for Africa (USDFA), is gearing up to host its largest healthcare summit to date — The Pan-African Medical Doctors and Healthcare Conference — to be held in Addis Ababa, Ethiopia from May 21-23, 2014. 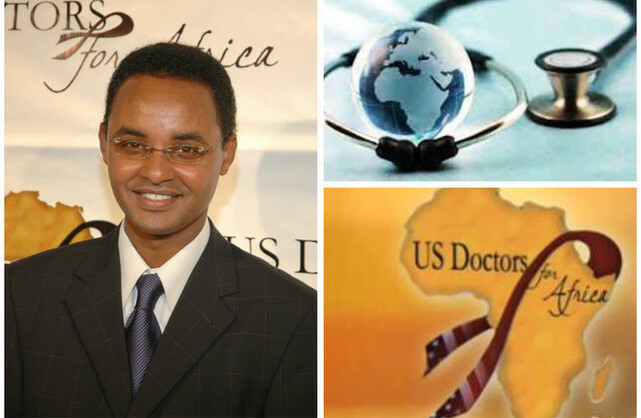 In an interview with Tadias Magazine, Ted Alemayehu, Founder and President of USDFA said that the gathering, the first of its kind, is intended to mobilize solutions to common concerns that healthcare professionals from across Africa share. “We have invited almost every medical association from the continent,” Alemayehu said, pointing out the conference will also include “a ministerial panel” in which the Ethiopian, South African, Ugandan, Zambian and Nigerian Ministers of Health will be participating. Invited dignitaries including the Prime Minister of Ethiopia, President Johnson Sirleaf of Liberia, and Chairperson of the African Union Nkosazana Clarice Dlamini-Zuma will also be in attendance. The three-day conference will be held at the United Nations Economic Commission for Africa headquarters in Addis Ababa. The theme of the conference, Alemayehu said, is “Africa’s healthcare challenges of the 21st century.” Some of the topics to be raised include healthcare infrastructure, investment opportunities, women’s health, and the controversial issue of “brain drain” in regards to African healthcare professionals. Tadias Magazine first sat down with Ted Alemayehu in 2003 as the non-profit was gearing up to launch several high-profile partnerships to expand their mission of providing training and assistance to doctors working in African countries. In 2006, USDFA was approached by the Clinton Foundation in conjunction with the Clinton Health Access Initiative campaign to increase low-cost quality treatment to those afflicted with HIV/AIDS. In 2009, USDFA organized the first ever African First Lady’s Health Summit in Los Angeles with over 25 participating countries and 19 First Ladies flown in from across the continent. In regards to the upcoming conference in Addis Ababa, Alemayhu says he expects NGOs, foundations, corporations, and mobile clinic manufacturers to also be in attendance.